You are moving. 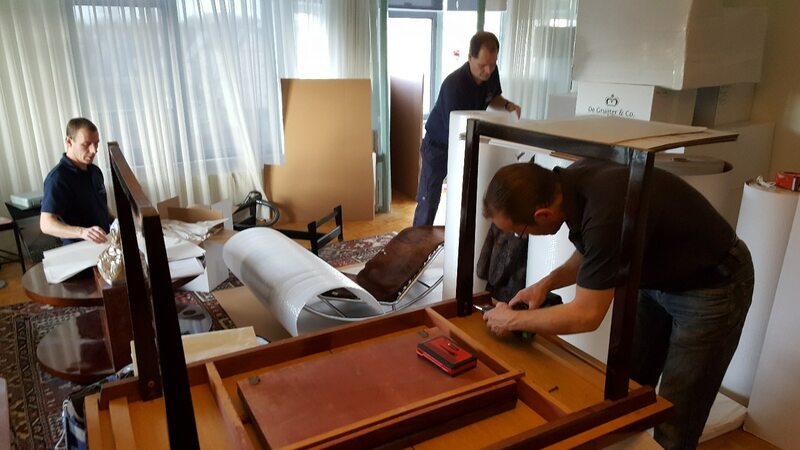 And whether that’s in the Netherlands or that you are going to live abroad (emigration), You do not wish to entrust your belongings to any ‘man with a van’, but to a fully professional moving company that understands that a successful move involves far more than putting things in boxes and driving them from A to B. You are looking for the best moving service! Welcome to The Royal Gruijter & Co.
We are the ideal partner for discerning customers who expect the very highest level of service and attention. We are Royal De Gruijter & Co. We can assist you at every stage of the process and offer a complete range of services. And we do mean ‘complete’, as befits a company that can style itself ‘royal’. If you wish, we can engage local specialists for every job, even if it is only mowing your lawn. By filling out the form beneath, we will be able to provide you with a price indication on furniture removal. It will take a max of 2 minutes to fill out the form. Within 1 business day we will send you the quick indication by e-mail. We can make a better price indication with a clear insight in your belongings. I agree to the storage and processing of the data I filled in. See our Privacy Statement for more information.